Company executives are not adequately identifying and preparing for risks that can have potentially catastrophic implications on business operations, employees and society, according to a survey conducted by DSS. The 2018 Global Operations Risk Survey of Corporate Leaders was based on interviews with executives from more than 350 companies, with 60% representing high-hazard industries, such as mining and metals. Speaking during a panel discussion with leading mining executives at the recent Investing in Africa Mining Indaba, Johan van der Westhuyzen, regional director for Turkey, Middle East, and Africa at DSS, explains that, while executives are well aware of the necessary characteristics and procedures for a successful risk management program, they are still failing to implement these critical measurements and requirements down to the front-line of the organisation. "We found that executives are not putting sufficient emphasis on high potential risks that can lead to large-scale incidents. At the same time, onerous risk management processes are failing to identity risks effectively with evidence to support and confirm a growing disconnect between executives and personnel at the front-line," said Van der Westhuyzen. 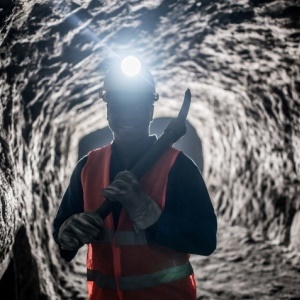 "In South Africa for example, the mining sector is facing a crisis in safety which is having a negative impact on the already depressed sector that now makes up less than 7% of the country's economic output." Executives agree processes and systems alone do not manage risk to ensure operational performance and need to be integrated, complementary and regularly reviewed. However, internal procedures are insufficient to manage current risks and 40% admit to challenges with implementing effective employee performance management. A lack of integration in processes can also lead to failures in assets, safety processes and increase injuries or catastrophic events. One-quarter of executives feel front-line personnel are not aligned on top risks facing the company but more than half (55%) do not feel senior executives are fully aligned on top risks facing the organisation. Asset reliability, supply chain integrity and safety processes are also among the least discussed topics in the boardroom. A gap in engagement between company leaders and front-line workers is critical to preventing and mitigating risks.